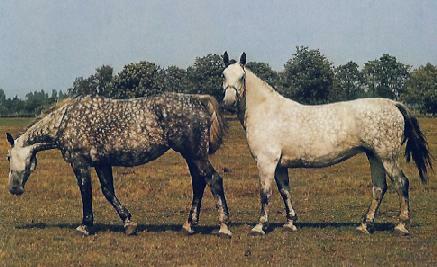 Groningen horses, also known as Groningse Paard, are from The Netherlands. Groningen horses are very strong and purposeful. They are also willing and reliable. Commonly, they are used as a harness animal and for riding. They are mostly bred in black, browns, and bay colors, they are around 16 hands tall. They have a convex profile and have very muscular quarters. They are found in Germany, The Netherlands, Belgium, Amsterdam, Groningen, and other lands around the North Sea. In the beginning, they were created to be used for farming purposes. Buy by the later part of the nineteenth century; they were virtually extinct as their predecessor, the Dutch Warmblood, grew closer to taking their spot in horse culture. It was down to all one last Groningen named 'Baldewijn'. Local breeders began changing them by breeding Baldewijn, and his progeny, with Oldenburg styles to create a more abundant supply. They went on further to add Thoroughbred and Hanoverian lines additionally. Currently, they are not thought of as extinct, but they are low in numbers, falling somewhere just over three hundred in total currently living.